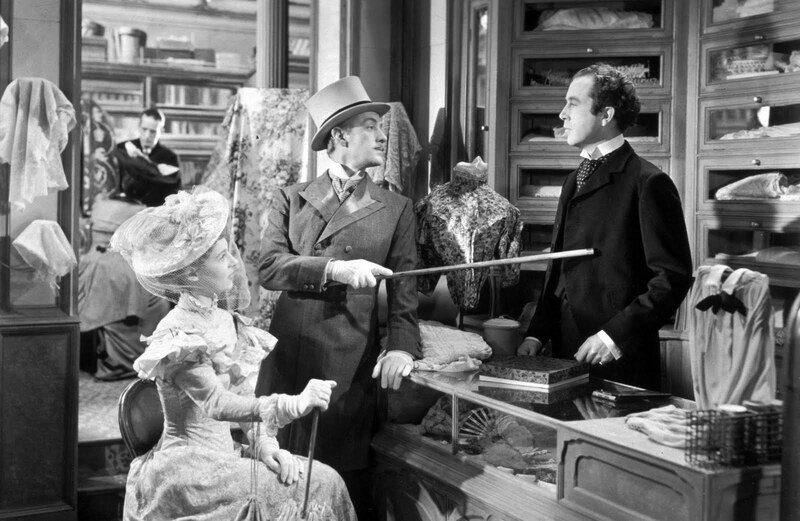 Few comedies are blacker than Kind Hearts and Coronets, and few are better. This is a film about a serial killer coldly and calculatingly dispensing with various members of a single family, but it is carried off with such effortless grace it keeps us impossibly charmed and smiling throughout, even as we are witness to such dark acts being committed. One reason for the film's beguiling nature is the casting of Dennis Price in the role of serious social climber Louis Mazzini, who dreams of obtaining the dukedom that he feels is his birthright by getting rid of the eight D'Ascoynes who stand in his way. Price's boyish demeanour and reserved manner makes Mazzini a fascinating and oddly beguiling protagonist, and his coolly detached narration is perfectly pitched. "Sometimes the death column brought good news, sometimes the births column brought bad," Mazzini observes as he examines the family tree. "The advent of twin sons to the Duke was a terrible blow. Fortunately, an epidemic of diphtheria restored the status quo almost immediately, and even brought me a bonus in the shape of the Duchess." Although Kind Hearts and Coronets is justly celebrated today as one of the finest achievements of Ealing Studios (and, by extension, British cinema), Price's performance is often undervalued. This is partly due to the subtlety and understatement he brings to the part – never drawing attention to himself – but it's chiefly because he is co-starring with one of the greatest actors in cinema on peak form. Alec Guinness plays all eight members of the D'Ascoyne clan in an astonishing feat of acting, but there is no showmanship on Guinness' part. Instead of turning his multi-part performance into an ostentatious display of mimicry and comic skill – as Peter Sellers and Eddie Murphy would later do – Guinness disappears into his characters. He was a young man then, but look at how convincing he is as both the sprightly photographer his own age and the doddery old vicar; as the blustering General and the arrogant young heir. For Guinness, it was never about showing off his talents, it was simply an opportunity to slip into eight different roles and convince us that they were each a unique and distinctive member of the same family. So much of the work Guinness puts in is slight and fleeting – the way he adjusts his glasses, or carries his cane – and such deft touches only become apparent on repeated viewing, with Kind Hearts and Coronets being a film that yields fresh treasures every time I watch it. The film was directed by Robert Hamer, who tells the story with an elegance and bite that is appropriate for this most refined tale of murder. His shots are beautifully composed and Douglas Slocombe's cinematography is particularly well served by this new restoration, with his gorgeous use of shadows looking richer and more darker than ever. But it's the screenplay – by Hamer and John Dighton – that continues to sparkle brightest of all more than sixty years after it was first written. The film is full of cutting dialogue and sly observations, with beautifully turned phrases such as, "I shot an arrow in the air; she fell to earth in Berkeley Square," to describe an archery-related murder or the telling line, "It is so difficult to make a neat job of killing people with whom one is not on friendly terms." That second line encapsulates the curious sense of a very English politeness and class-consciousness that distinguishes Kind Hearts and Coronets from any other study of a murderer. It is something of a miracle when a film attempts to blend comedy and tragedy in such a fashion and traverses that difficult territory without ever putting a foot wrong. Kind Hearts and Coronets is a flawlessly told joke that builds to a brilliant punchline – although that wasn't the case when the film was first released in America. Hard as it is to believe now, the panicky US censors modified the climax to make it neater and more easily moralistic, which hardly seems fitting on the end of this particular movie. This is a film that can't be sweetened or diluted, and the original ending remains perfect, leaving the conclusion hanging tantalisingly in the air and inviting us to speculate if the slippery Mazzini will find some way to wriggle free from yet another tight spot. 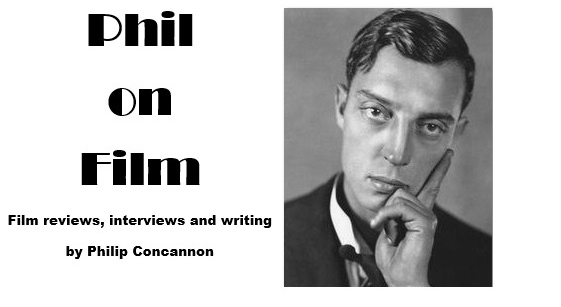 John Landis offers a short introduction to one of his favourite films and there's a vintage, 25-minute Channel 4 documentary on Dennis Price that features some great clips from Price's career and tells a rather sad tale. The best extra on the disc is a commentary track featuring Alec Guinness' son Matthew, Peter Bradshaw and Terence Davies. Guinness offers some interesting stories from the set (including how close his father came to drowning during one scene) while Bradshaw and Davies highlight their favourite moments, although all three are sometimes guilty of going quiet when the temptation to simply watch this masterpiece becomes too strong. Davies seems to take particular delight in watching "the finest comedy film ever, ever, EVER!" and he has an amusing habit of squealing, "It's so delicious!" whenever some aspect of the film has tickled his fancy (which is a lot). Kind Hearts and Coronets will be re-released in cinemas by Optimum Films on August 19th. It will subsequently be released on blu-ray and DVD on September 5th.